Can you talk a little bit about what you did as an international student adviser from 2009-2014? I worked at the Office of International Relations at Boğaziçi University for 5 years. I first started as a student assistant and after completing 6 months, I started working on the Erasmus agreements. On my first year I was assigned to work with the incoming Erasmus students, a short time after which I was given the incoming Exchange (non-European, mainly USA, Canada and Australia) adviser. On my last year I stopped working with the incoming students and started to be the outgoing exchange student adviser. For 4 years the incoming students and their well-being was my main concern, and on my last year I made sure the Turkish students were placed in the right universities among their choices and skills. Why do you think it’s important for students to study abroad? I think that it is the first big step to adulthood - to live on your own on in a different country. This is a nice and big step out of any comfort zone the students might be in - the food, language, culture, academic life, relationships everything really. 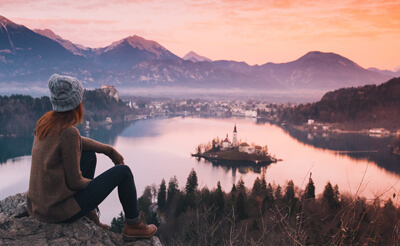 Study abroad not only forces students to adopt to the change while learning and accepting new cultures and peoples but it also broadens their horizons in every possible way. Study abroad is a fantastic gift a student can give himself/herself. It helps you become a better person. Academically speaking, it is a challenge to get used to a different classroom, examination and grading system. Those who seek adventure get what they seek. What can international students expect from an orientation at their new university and their first weeks studying abroad? Orientation will give you all the information you need on paper - how to enroll in classes, how to navigate in campus using the campus map, what the opening and closing times of the library are. What matters is what you experience in my opinion. If an orientation program takes you to a campus walk rather than giving you a campus map - that is a solid orientation program. Also, thing in real life tend to be different than how they are written in the rules. Orientation will tell you to add your classes Monday 9 am while then the classes you want to enroll in may have filled up their quotas so you need to go talk to the professors. I recommend going and experiencing things rather than sticking to your orientation booklets. What are the best strategies you’ve seen for overcoming culture shock to enjoy the study abroad experience? The best strategy is to let things go and accept that you are in a new country, among new people. Lower your expectations. The cleaning staff do not speak English. Local restaurants do not have English menus. You being a foreign student does not give you a free pass to any classroom or a better grade. Yes, everyone agrees that your course registration system is superior to anyone else's in the world. Get over it and start accepting the change. They do not celebrate St. Nicolas's day? There are classes on Christmas? What, there is no Thanksgiving in Turkey? Get. Over. It. One trick to stay happy: Observe the locals around you, whatever they are doing is probably OK to do. See a few people smoking a cigarette on the campus? Then you can light a cigarette. Do you see locals being super loud in a bar and yelling to everyone? No? Then don't. What makes Turkey special as a study abroad location? Turkey offers history, culture, food, fun, welcoming locals, fun beaches. Anything that you want really exists here. Just be careful though, if you want to play ice hockey this is the wrong country to study abroad. 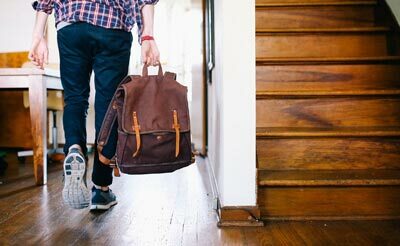 What are some typical things that students regret doing or not doing when they’ve finished studying abroad? Not having any local friends and sticking to Erasmus/exchange friends. Not studying enough for tests. Hoping to get a better grade for being a foreign student and failing at the end. Not traveling the country enough. Never having the time and energy to go visit the museums (while magically having the time and energy to drink in the same bar 5 days a week). Can you suggest some questions that international students should ask their study abroad advisers to get the most out of studying abroad? What are the chances of living with locals? If if stay in the dorms, will be assigned local roommates or foreign one? What is the minimum number of classes I could take, or the maximum number of cultural classes? Emre Çakır was an international student adviser from 2009-2014 at Bogazici University in Istanbul. 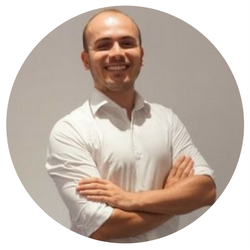 He currently works as a Business Analysis Supervisor as well as the CRM Analyst at Alarko Tourism Group - Hillside.